Creating content is expensive, and there is a tremendous amount of competition for attention. Most content created today fails. Our 2018 study showed that 50% of all content gets less than four shares and zero backlinks. This is waste of valuable time and resouces. What content does my audience find valuable and relevant? Researching the answer to this question will help you to create the best content more efficiently. It will also help you to define and benchmark your success. At the very least, you are likely to have hunches about what content your audience likes and finds helpful. Go beyond hunches with solid data to improve your content odds. We will examine each of these in more depth below. If you would like to record your insights, we have a free template available for download. Before creating content, it is good to understand the competitive landscape. You will want to know how many articles are being published each month for your topics, and whether or not social shares are increasing. To get a quick overview of your competitive landscape, use the Analysis tab within Content Analyzer and search for your topic. The report will display the number of articles being published over time, as shown below. You can also toggle between a monthly and weekly view by using the top right drop down menu. 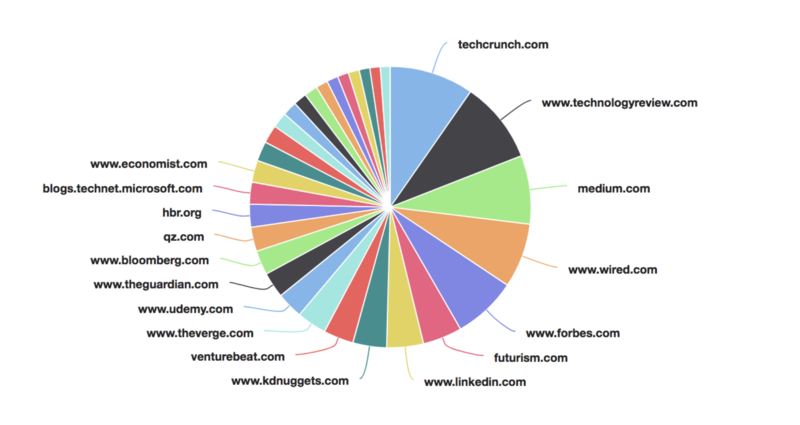 Next, you can assess the interest in these articles, as measured by total shares. In this example, the total number of social shares for machine learning articles increased steadily until May 2017. If we look at the average shares for each article, we can see that there has been a steady fall from over 250 shares per article to under 100 shares per article. Interest grew steadily until May 2017. Content competition has increased, as the number of articles on machine learning has grown to over 6,000 a month. Average shares have begun to fall. To stand out in this market, content must be exceptional, and it will need to be heavily promoted to gain attention. We might want to look for a more specific topic area such as the impact of machine learning on language translations or on medical research. In each of these sub-topics, there is less competition. Now that we have an overview of the competitive landscape, we can review the most successful posts about our topic. Using the Content Analyzer Search, we can look back over 5 years of data, or at the last six months or year to spot more recent trends. By analyzing the most successful content in this way, we can explore the content that is gaining traction and generate a range of content ideas. To get started, look for repeated words or phrases in heavily shared headlines. Below are the results for content about machine learning. This search returns the following results. This might encourage us to create a specific guide for our audience, for example ‘what content marketers need to know about machine learning’ or ‘a content marketer’s guide to machine learning’. Content Analysis provides an overview of the best performing content types. 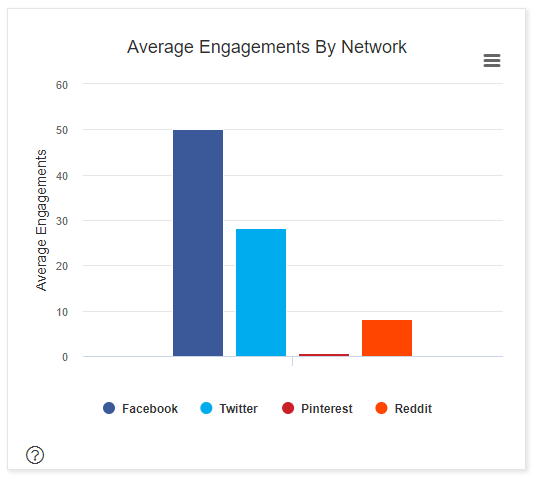 For example, it reveals that for machine learning, 'why' posts gain more engagements on average than other formats. 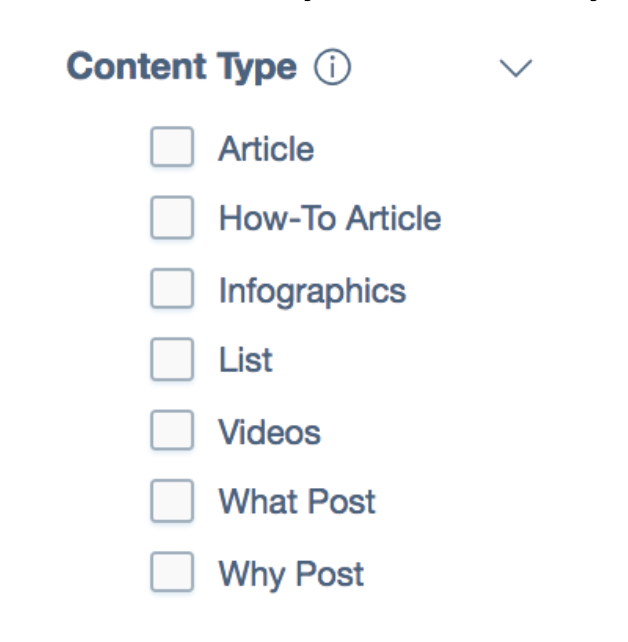 Learn more about these successful formats by clicking the graph, or using the Content Type filter in Content Analyzer's Search. These examples can inspire ideas for why posts of your own, as well as helping you to see whether your audience prefers short or long list posts. Ideally we want to create content that people share and link to over time. We call this Evergreen Content. BuzzSumo's Evergreen Score will help you to identify Evergreen Content ideas. For example, if we sort a search for ‘marketing’ by the Evergreen Score, we get the following top posts. This indicates that marketing guides and statistics posts may both be evergreen, probably because they are referenceable. These results reinforce our idea to create a guide. It is also helpful to look at the sites which are publishing the most shared articles for our topics. Content Analysis displays the sites that people share from most often for the topics we write about. For example, the following sites have gained the most shares for their articles on machine learning. You can learn more by looking at content from influential sites using a Content Analyzer Search. For example, we can review the machine learning articles published by TechCrunch with this search. This returns the following results. 6. Identify Competitors' Most Successful Content. We can do the same Content Analyzer Searches and add up to 10 of our competitors' domains to the Analysis in order to identify their most successful content formats, headlines, lengths, and networks. Read more about researching competitors in our How to Do Competitor Analysis Guide. If you notice that a competitor is using a particular topic or format, you can add that information to your editorial plan. 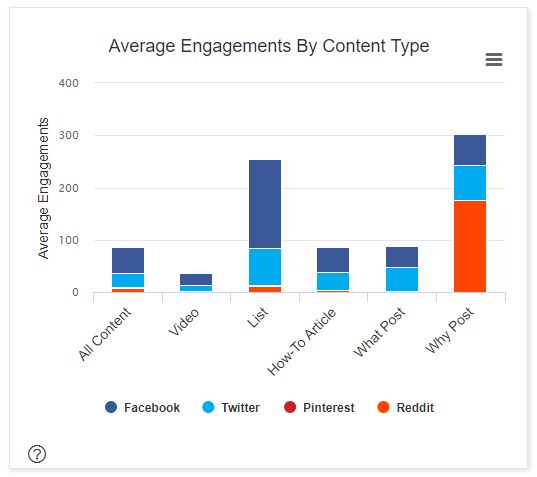 Content Analysis also identifies the networks where most shares are taking place. Once you know your audience's network preferences, you can develop promotion and distribution strategies for those networks. Refine your plans by sorting Content Analyzer Search results by network to see the content that has gotten the most engagements on individual networks. You cannot publish content and hope that people will find it. There is simply too much competing content. Without a promotion or amplification strategy content will sink into oblivion. In addition to paid promotion, content can be amplified organically by social shares or backlinks. In Content Analyzer Search, use the "View Sharers" option to find the influential Twitter users who tweeted any article. "View Backlinks" will display the most recent and most shared inbound links to the content you are interested in. Build your outreach strategies with the names and sites you find using "View Sharers" and "View Backlinks." One of the other important aspects of content research is to establish reasonable benchmarks against which to assess performance. You will want to set targets for traffic and conversions, but these are hard to benchmark against competing sites. By contrast shares and links are easy to benchmark as they are publicly available. You will also want to find your competitors' total and average shares. You can run Analysis for average shares across a whole domain or just for a blog or just for articles on a specific topic. For example, below are the results for articles on machine learning published in Techcrunch.